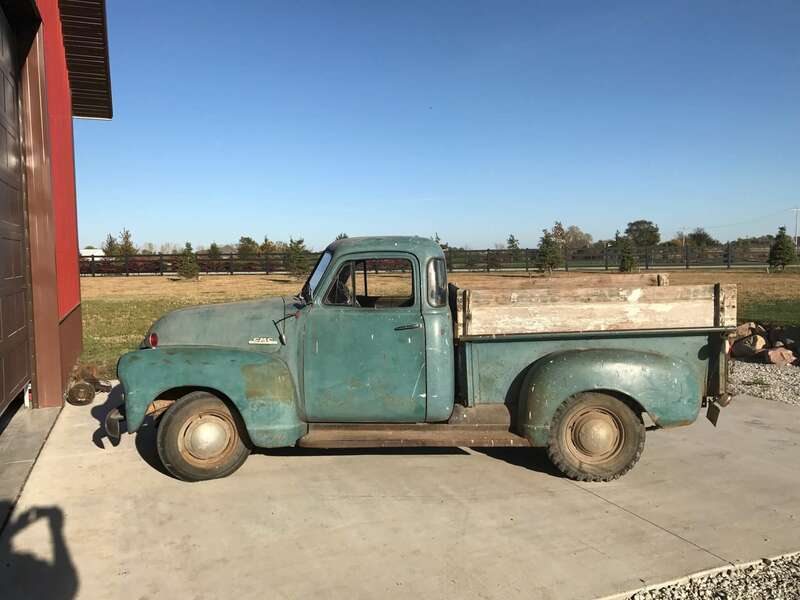 1951 GMC 100 – Alvin K.
In 1959, Alvin M. Kobes bought 80 acres just north of Wilber, NE, from Clarence Zajicek for $17,500. After a $5,000 cash deposit, and a $12,500 promissory note, as part of the purchase, my dad also acquired a 1951 GMC truck. The truck was used extensively on the farm over the next 56 years until my father passed on September 8, 2016. The truck had many uses – hauling cattle or hogs to market (one animal at a time) with its livestock rack, hauling harvested grain with homemade side boards to increase capacity, traveling to the elevator where the front end was tipped using a large hydraulic lift to empty the truck, moving kids off to school, or holding the ladder used to paint the house to give just enough height advantage to reach the peaks. It was the truck I learned to drive in at the ripe old age of 10 out in the pasture, where I gave it gas, let out the clutch, with my dad trying to tell me how to stop as I was driving away. It was the truck I was issued my first ticket at the age of 14, coming home from a trip to the grain elevator during harvest, where I failed to extend my left arm out the window to indicate my left hand turn. This prompted my dad to install two large blinkers on the front fenders so that wouldn’t happen again. The GMC was a workhorse. But my father was also a mechanic by trade, and as it was with all his vehicles, the truck was treated with respect…it was never stored outside, always under shelter. The truck stayed in the family and became an icon with the grandchildren, who would ask to get it out of the shed at every visit, and drive it around the farm. It would usually start, despite the large hole in the seat covered by a blanket and maybe a rug or two, not to mention it was likely home to a mouse or two. In June of 2010, my niece AJ added another chapter to the truck, when she chose to have my dad drive her to the alter of her wedding on the farm. Before he passed in September 2016, I promised my dad we would restore and keep the truck in the family as a remembrance, knowing the attachment to so many memories. 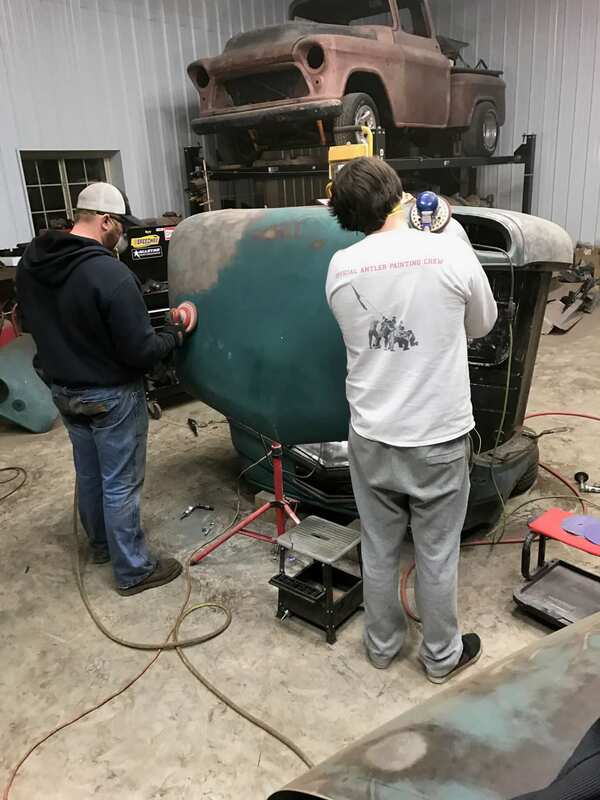 In October 2016, with the help of my sons, the truck was moved from its final shed on the farm to Waterloo, NE, where a project was undertaken to restore the truck. 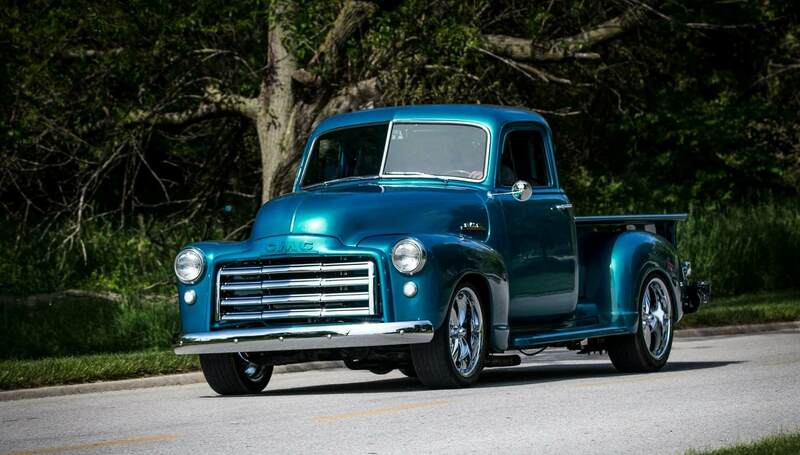 A “frame-off resto-mod” would restore the truck to original and more. A shiny new 350 small block, fuel injection, power steering, disc brakes, heat/air were added to give the truck some modern day touches to assure dependability and reliability. The project goal was to complete the truck in time to participate in yet another wedding ceremony, this time for my oldest son, Owen. The GMC would be the getaway car waiting outside the church. 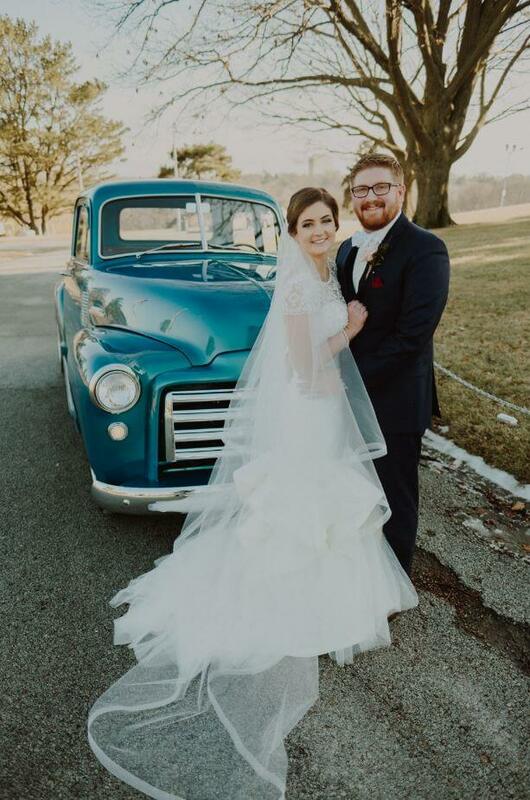 Completed just hours before the ceremony, working into the wee hours of the morning, and blessed by an unusual 50 degree sunny day in January- Grandpa was certainly looking down upon us all that day. The tradition continues, and the memory lives on.